A ninja survival game where you wage combat in an expansive diorama landscape. Defeat hordes of enemies using shuriken throwing stars! Play with others online. 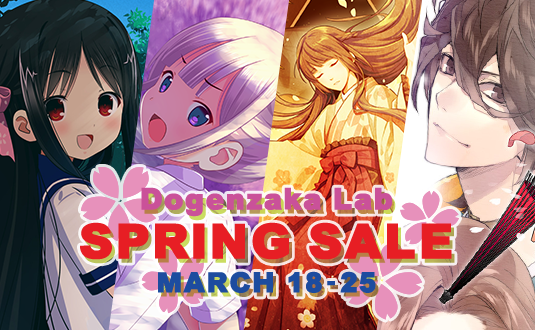 Developer: X-STREAM DIGITAL Co., Ltd.
Dogenzaka Lab Spring Sales Campaign! Now, you can save up to 90% on "Diorama Battle of NINJA" as well. Don't miss this chance! ※ This Spring Sales Campaign will end at March 31st, 2019 10:00 AM (Pacific Time). A ninja survival game where you wage combat in an expansive diorama landscape. Defeat hordes of enemies using shuriken throwing stars! Increase your score by effectively utilizing hanabi (homing explosives), katon (fire breath), and explosive fuda (land mines). Become more powerful by defeating enemies and ranking up. Ramp up the fight with two powerful items: bunshin-no-jutsu and gama. With the ability to choose from five graphic settings, you can even play on your laptop. © 2016 X-STREAM DIGITAL Co., Ltd.